Love the adorably nerdy crew of The Big Bang Theory?! Get ready for a fun crochet-along! This will be a FREE CAL, with all the charts and information posted right here each week once we begin. There will also be a Facebook Group coming soon if you’d like to join and share your progress. 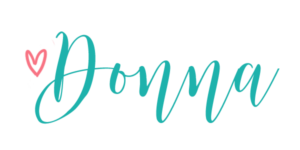 The official hashtag for this CAL with be: #3amgracedesignsBBTCAL. Please share with your friends on Pinterest, Facebook, Instagram, etc! The more participants we have, the more squares we’ll create! Hello! I’m really excited for your Big Bang Theory CAL. My husband and I love that show. I was trying to find the link to join but I couldn’t find it. Is there a way you could direct it to me or sign me up? Thank you very much! Hi Amanda! If you fill out the form on the right side that says “Never Miss A Thing!” you will be notified when the new designs are released. There will also be a Facebook group coming soon! I. CAN’T. WAIT. It’s going to be AMAZING!!!! Love you girl!! ???? Hi Julie! If you fill out the form on the right side that says “Never Miss A Thing!” you will be notified when the new designs are released. There will also be a Facebook group coming soon! I can’t see the form on the right. Is there another way to sign up? I apologize, your comment had went to spam for some reason. So glad you found it! I found it at the bottom!! Thank you. Sooooooo excited! Love to watch Big Bang….. over and over and over….. again!? Oh my goodness! So excited!! 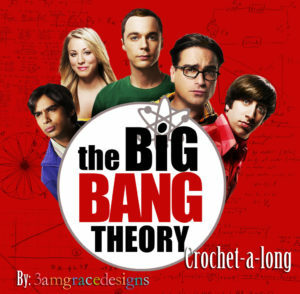 Love this this is 2 of my favorite things crochet and the big bang love them so much, very excited. Interested in the big bang theory. Hi Terri! Make sure you use the “Never Miss A Thing” form so you that you receive email updates when the graphs are posted. Hi Rhonda! Make sure you use the “Never Miss A Thing” form you that you receive email updates when the graphs are posted. What format? SC or C2C or …? I found it and thank you!? SOO very excited! I’ve been looking for a good BBT CAL to do and I can’t wait to start. CALs are the only way I get blankets done…lol. Love big bang theory! Can’t wait to make this! I’m not sure it worked. If twice sorry!!!! I cant wait for this to begin (it will be my 4th poject), so please forgive me if i ask alit of questions! Ive signed up to the “never miss a thing” at the bottom (as im on mobile), and i click the facebook link that you have posted above and it advised me that the page is not available/expired. I hope my details have gone through perfectly.